Marissa Mayer on maternity leave: "I understand I'm the exception"
Marissa Mayer says she's the exception, not the rule. The Yahoo CEO and mother of three has been slammed by critics for not taking enough maternity leave. When Mayer had her first child in 2012, she took just two weeks leave before returning to work, a move that was heavily scrutinized. Last year, she gave birth to twin girls, and once again Mayer caught flak for saying she'd return to work quickly. She came back to work in less than a month. On Thursday, Mayer took to Twitter to defend her personal choice, adding that she doesn't expect others at Yahoo to follow suit -- nor have they. "I understand I'm the exception," she tweeted, adding that she finds "other ways/times to bond with my kids." Mayer looked to prove her point using numbers. She noted that 75% of new mothers at Yahoo took full maternity leave in 2015. Yahoo gives women 16 weeks in total for natural birth (that includes the eight weeks given to all new parents). Mayer was the only one to take less than one month leave, she said. Men are also taking Yahoo up on its leave policy. In 2015, 823 men took paternity leave, she added. Related: Are families the elephant in the workplace? "I understand there is a worry about setting the tone, but the data suggests it isn't an issue at Yahoo," she wrote. The tweetstorm from Mayer comes in response to a LinkedIn post by a woman named Anita Grantham, chief people officer at an IT company in Arizona. In the post, Grantham defended Mayer, suggesting that the role of a CEO is different than being an employee at an organization. Still, Mayer's parental leave time is often compared to another big tech CEO, Mark Zuckerberg, whose first child was born two weeks prior to Mayer's twins. Zuckerberg took two months of paid paternity leave. But Grantham added that Mayer shouldn't have to defend herself for her personal choices. "While I appreciate many points of view, this brewing debate over leaders being held to the same standards as the rest of the company doesn't always apply," wrote Grantham, who then tweeted at Mayer asking for her opinion on the matter. Grantham did not immediately respond to requests for comment. 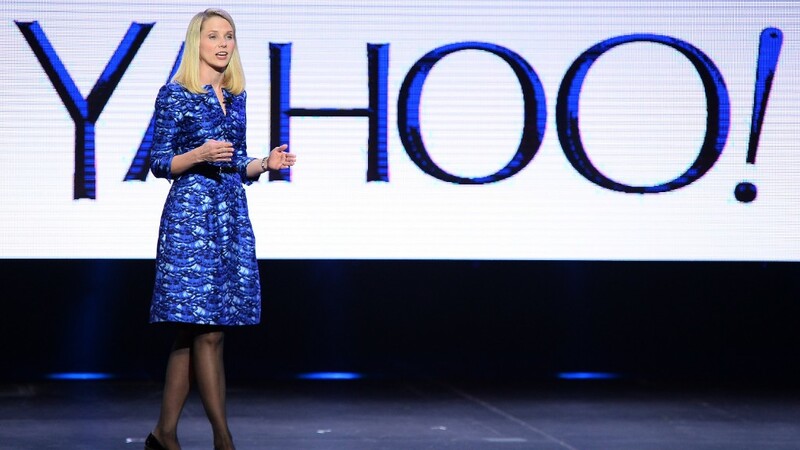 Update: Yahoo clarified its parental leave policies; it offers 16 weeks for natural birth.